The innovative biopharma industry is ready to lobby the new Congress and incoming Trump Administration for enactment of drug user fee legislation in 2017 in a way that does not disturb the carefully negotiated agreement with FDA. The potential for lawmakers or the new administration to seek changes in the commitments negotiated for the sixth iteration of the Prescription Drug User Fee Act (PDUFA) "is a possibility that we certainly hope doesn't happen," Kay Holcombe, senior vice president for science policy at the Biotechnology Innovation Organization (BIO), said at the FDA/CMS Summit in Washington, DC on Dec. 15. However, industry is ready for a full-court press, if needed, to demonstrate that the negotiated PDUFA VI agreement is good not just for FDA and industry, but also for patients, healthcare providers and payers. When asked whether the innovator trade groups would be lobbying Congress and the new administration on benefits of the PDUFA VI agreement to business and patients, Holcombe responded: "We are very well aware of the need to do that at BIO, and our CEOs and our board members. They're all in." "The priority of getting PDUFA enacted next year is extremely high on our agenda," Holcombe continued. "We're there." "I agree that should be our focus, sort of the hard sell," said Barry Sickels, Sanofi's vice president of regulatory affairs who, like Holcombe, was involved in the PDUFA VI negotiations for industry. While the panel discussion at the FDA/CMS Summit was focused on the risk of tinkering with the PDUFA VI agreement, such concerns also would extend to the biosimilar and generic drug user fee agreements. The prescription drug, generic drug and biosimilar user fee programs must be reauthorized by Congress and enacted before they expire on Sept. 30, 2017. Agreements to reauthorize PDUFA, the Generic Drug User Fee Act (GDUFA) and Biosimilar User Fee Act (BsUFA) programs were reached earlier this year following extensive negotiations between FDA and industry, with feedback from other stakeholder communities including patients, health care providers and consumer advocates. FDA held public hearings on each of the draft commitment letters and must transmit the recommendations for reauthorization to Congress by Jan. 15. The agency said it is on track to meet that deadline. However, with a new Congress taking shape in early January and a new president entering the White House on Jan. 20, there could be efforts on Capitol Hill or in the executive branch to reopen and re-examine any, or all, of the negotiated agreements. Reopening of the agreements is something neither FDA nor the industry wants, given what's on the line: billions of dollars in funding involving thousands of FDA staff positions, and agency commitments around review speed, regulatory activities aimed at speeding drug development and better incorporating the patient voice into product approval decisions. When it comes to the oldest of the user fee programs, the PDUFA VI agreement creates a "curious case," Holcombe said. It will mark the first time a renewal of the program will have been negotiated by a different presidential administration than the one that sees it through Congressional passage and begins implementation. When the Trump Administration takes over, "it definitely would be their prerogative to say that some of the things in this agreement are not things that they want to be committed to," Holcombe said. Also important to keep in mind is "not only are we going to have a new president, we're going to have a new secretary of [Health and Human Services], and the ultimate sign off of anything the agency does … is the sign off of the secretary," Holcombe said. "We may also have a new FDA commissioner." President-elect Donald Trump has nominated Rep. Tom Price (R-GA) to be HHS secretary. While no formal announcement has been made about the incoming administration's plans for FDA commissioner, names that have been floated include former FDA Deputy Commissioner Scott Gottlieb and Silicon Valley investment manager Jim O'Neill. (Also see "Possible Trump FDA Commish Candidate Favors (Much) Lighter Touch" - Pink Sheet, 8 Dec, 2016.). The new Congress also could decide to reopen the negotiated agreement. "Some people are still going to be there who saw this kind of moving through the process and were able to be briefed on what this commitment letter looked like, but the new Congress may decide that they would like to start over," Holcombe said. "To start that process over again is a daunting thought, particularly when you look at the timeframe that we have," Holcombe said. "If PDUFA is not reauthorized by the 30th of September, which is only nine months from now, then this implicates all of those employees at FDA whose salaries are paid by PDUFA, and about a billion dollars annually in PDUFA fees coming into the agency." "So it's a big deal if we start over and it's a big deal if this doesn't happen in time," Holcombe said. Stakeholders said it's hard to handicap the chances that Congress or the Trump Administration would seek to throw out the negotiated agreements and start over. "I don't think there's any way to predict it," Holcombe said. " My gut tells me that because of the complicated situation and the difficulty of starting over on this that reasonable people will not want to do that. I think it would be my hope that even though people might be scratching their heads a little bit, that they will let this move forward the way it otherwise would have." Sickels suggested the incoming administration may have other higher priorities, thereby reducing the focus on the user fee agreements. In an interview after the meeting, Holcombe said BIO's government affairs team will be visiting all legislative offices in the beginning of the new Congress to discuss the group's priorities, including the PDUFA reauthorization. The Pharmaceutical Research and Manufacturers of America (PhRMA) declined to comment on its lobbying strategy. Holcombe and Sickels said they were not aware of any conversations that have taken place with the incoming administration around the user fee program reauthorizations. However, industry won't be alone in making the case for keeping the agreements intact. "I think what we see as our role from the advocacy standpoint certainly is that we intend to educate folks about the importance of this," said Maureen Japha, director of regulatory policy at FasterCures. "The commitments FDA has made under this agreement could transform drug development," Holcombe said. "There's a lot that everyone stands to lose if we lose these things." 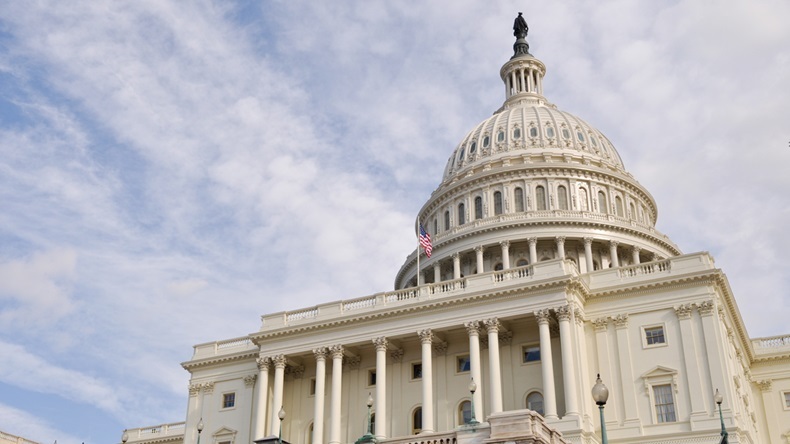 The Pharma and Biopharma Outsourcing Association, which was involved in the GDUFA II negotiations, wants to making sure the agreed-upon package is passed by Congress and funding for the agency's generic program achieves the levels it needs, said Gil Roth, the group's president. "We're hoping nothing gets changed. If it doesn't we're going to have to mobilize," said John DiLoreto, executive director of the Bulk Pharmaceuticals Task Force, another GDUFA negotiator. DiLoreto said he participated in recent briefings about the GDUFA II agreement to staff on the Senate Health, Education, Labor and Pensions Committee and House Energy and Commerce Committee. "As far as we're concerned, one of the main points we made to the Hill folks was the negotiations took a year and a half. If anything is changed … we may not be able to support it," DiLoreto said. FDA also seems ready to mount a strong defense for keeping the user fee agreements in their current form. Find out more about Pink Sheet here.